Sheet Music Plus was founded in 1997 and offers musicians a large selection of sheet music, with fast delivery and trained musicians offering excellent customer service. The company offers over 1,000,000 sheet music titles from music books, music sheets, songbooks, music scores, choral sheet music and much more. 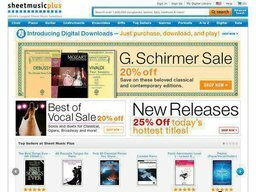 Customers can find composers listed in alphabetical order and via categories, or the search bar, via their online sheet music marketplace at SheetMusicPlus.com. Here they are constantly running offers and deals that can be redeemed with special Sheet Music Plus coupons. We list all the latest codes here at Coupofy, so you are sure to make savings whenever you order. The company traces its roots back to 1996 when Nick Babchuk founded MusicianStore.com, which sold guitar strings and a small selection of sheet music. As the sheet music offerings became the most popular product the name was changed in 1997. Today the company is headquartered in San Francisco, California, United States, with Babchuk serving as Chairman and Jenny Silva as CEO. 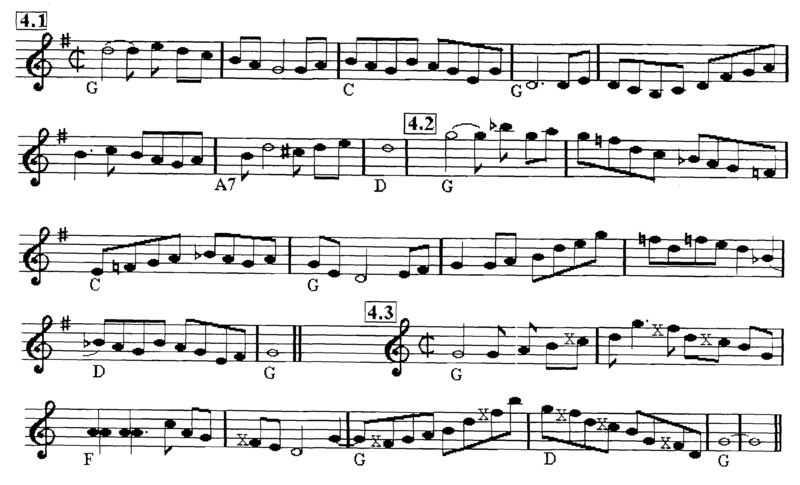 SheetMusic.com offers over 925,000 different print and digital sheet music titles covering Choir, Piano, Guitar, and many other Instruments, as well as Ensembles. Genres include Classical, Rock, Christmas, Christian, Jazz, Country, Pop. Opera, Movies & TV, Wedding, Folk, Latin, Blues, Urban & R&B, New Age, Comedy, and many others. As well as digital downloads you can also be mailed CDs, DVDs, Texts, Guides, Karaoke, and more. There are also a wide range of accessories available such as folders & stands, music lights, metronome and recording devices, cases, bags, music related books and gifts, and much more. You can also purchase gift certificates from values between $10 and $200, so the recipient can make their own purchasing choices. To redeem a Sheet Music Plus coupon code simply copy the code from Coupofy or another source and enter it in to the designated box, which you should see before the payment step. The company calculates all shipping costs during the checkout process and prices are based on the weight of the order and include a handling fee. Shipping costs are in US dollars although international shipping is available. Delivery options include, Flat Rate Budget Delivery, Standard Delivery, 2 Business Day Air, and Next Business Day Air for deliveries within the US and APO/FPO addresses. Deliveries to Canada are shipped via Customs Free Priory Air or Express Air, and all other international deliveries are shipped via Budget Air/Ground, Standard Air, or Express Air. From time to time you can also get free shipping by using special Sheet Music Plus coupons. The company accepts returns on items returned within 90 days from the original ship date will be credited back to the customers original form of payment. Items received after 90 days will be credited in the form of a Gift Certificate, which can be applied to future purchases. Obviously if you use a Sheet Music Plus promo code you will only be reimbursed the actual amount charged.